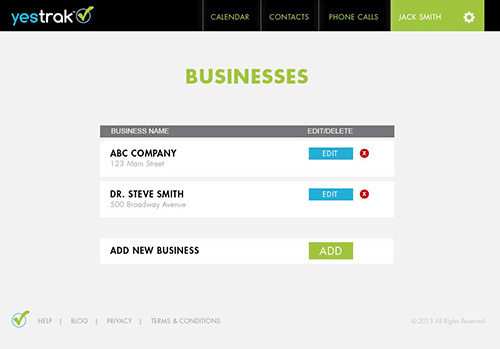 Set-up your Business(es): Before we build a Script, we need to let the YesTrak Agent know which business they will be accepting calls on behalf of. Either click the ADD button to add a business, EDIT to update existing business information or the RED Circle X to delete a business. Business Information – How to add, edit or delete a business: 1. 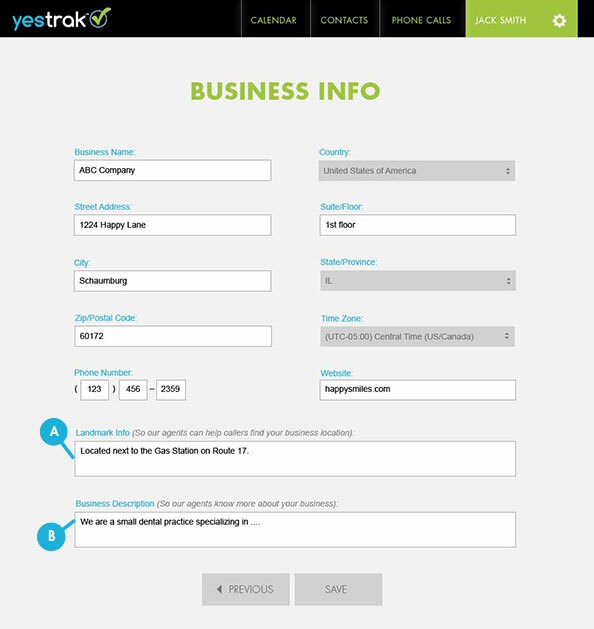 On the next screen enter the name of the business, phone number, address, landmark information & business description. 2. Click SAVE when your done. We understand sometimes you need a little hand-holding. We'd love to get you on the right track.